This was the first concert of any description I'd been to, so I was rather excited. I sat two floors up in the multi-tiered auditorium, right at the end of the row. This meant a lot of getting up to let people through, but it only interrupted the performance itself once, so I didn't mind. Everywhere there were people with Zelda hats, shirts, scarves, hoodies, rucksacks, and people dressed in vintage clothing or who looked like they were cosplaying Slash out of Guns N' Roses. I even saw one guy down in the front row in a full-on Link costume. There was of course a large video screen, which before the show was playing trailers from "recently" released and remastered Zelda games. As the orchestra and audience trickled in, the heady whiff of people's beers began to permeate the air, and the orchestra's sporadic practicing gradually morphed into a hideous cacophony. Basically me whilst the orchestra were practicing. ...Then the lights went down, and the conductor came out to much applause. 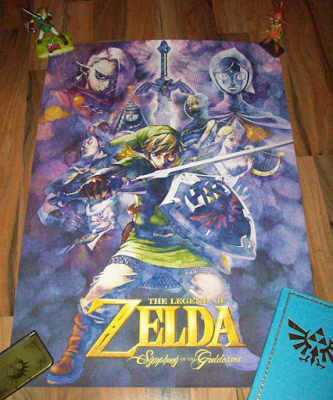 What started was a medley of some of the staple leitmotifs of the series, such as the main theme and Zelda's theme, as the screen played clips from most Zelda games of the past in chronological order. During this part I noticed that the orchestra included a choir, to my pleasure, and that there were lights placed around the stage to illuminate the musicians in various colours depending on the mood or theme of their current playing. After this introductory performance, the producer, Jason Michael Paul, came out to introduced himself along with the conductor, Giacomo Loprieno. Then he said "the more noise you make, the better they'll play". Cue loud shouts from certain members of the audience followed by a strong showing of applause. This led to a quick plug for merchandise on sale in the lobby and the introduction of a recorded video message from Shigeru Miyamoto. He basically went on for a bit about how the music in Zelda started out under the necessity to work within the limits of what the NES could do, but has since taken on a life of its own, which is why this concert tour exists in the first place. 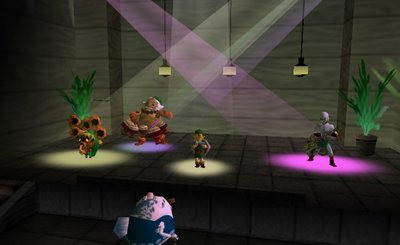 At any rate, the concert proper began with a rendition of Gerudo Valley and Gerudo Fortress with locale-appropriate gameplay footage. For being one of the most well-loved songs in the series, I have to say I didn't really care for it until recently, and I did feel like I appreciated it even more after this. Next up came various boss themes from Ocarina of Time, The Wind Waker, Spirit Tracks, and Twilight Princess while clips of battles with King Dodongo (complete with the orchestra's mood lighting glaring red when he breathed fire), Molgera, Fraaz, and Firus were played. After that was a compilation of some of the music from Tri Force Heroes, which I understand to be a fairly recent addition to the repertoire. Not being familiar with the game or its music, there's not much I can add. Next was music from A Link Between Worlds, and, having played right the way through that quite recently, I was able to really get into it as most of the themes were still fresh in my mind. I found that most enjoyable. After these movements, it was time for another video message, this time from Zelda series producer Eiji Aonuma. He talked about how the development of Zelda music was a creative journey, and that vying for the next great score was like trying to find a far-off distant land, and sometimes you arrive there only to find you'd been there all along! ...Or something like that. More pretentious, arty-farty nonsense? I'll let you be the judge of that. Anyway, next up was the Chamber of the Sages theme complete with the cutscene of the creation of Hyrule from Ocarina of Time. I found this one especially moving, with the harpists and choir really coming into their own, and the mood lighting shifting to a soft blue. Following that was a presentation of the most recognisable themes from Ocarina of Time. Hyrule Field, Saria's Song, Ganondorf Battle, you name it. To follow, The Wind Waker was given the same symphonic treatment. The Great Sea theme was, as ever, fantastic. The applause that kick-started the second half as the orchestra came back on stage was the most intense yet, and we recommenced with an intermezzo of the Song of Time complete with vocalisations from the choir. Since the Song of Time is one of my favourite themes in the series, this might've been my favourite part of the entire concert. Next up, it was Zelda series composer Koji Kondo's turn to make a video appearance, discussing many of the same points I mentioned in my Zelda music article. He emphasised that music helps people establish emotional connections to locations in games as well as carrying emotional weight in its own right, and that good location leitmotifs in games make you recall what the area was like (and vice versa) almost without even having to think about it. He then asked us to enjoy the next two movements on themes from Twilight Princess and A Link to the Past. The harpists were particularly good in the Twilight Princess section. I'm a big fan of the Hyrule Field theme from this game too, and it didn't disappoint. 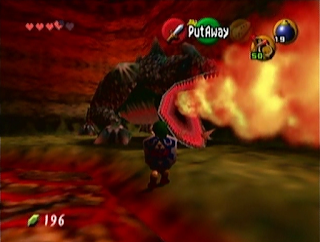 You might remember the cutscene where Zant and his Shadow Beasts storm Hyrule Castle? Well, when that started playing on-screen, the orchestra really got fired up with the theme for the Final Battle with Ganondorf. You can hear it for yourself in this video from 34:30 - 36:06. Basically, it was an awesome climax to the movement. As for A Link to the Past, it began with an forceful sound off from the choir of the first four seconds of the Hyrule Castle theme. You know the part I mean. They gave it the ominous Latin chanting treatment. Throw in more of the game's classic songs, including that terribly catchy Hyrule Field theme, and the whole thing ended with the Ganon Battle, which was actually surprisingly gripping when coupled with the on-screen SNES footage. After this dramatic finish, Kondo, Aonuma, and Miyamoto all appeared (separately) in one final video, hoping we all enjoyed ourselves and praising the musicians. Miyamoto said that the concert had taken him back over his past 30 years of working on Zelda, and that "I want to hear more from this wonderful orchestra" (He wasn't even there!). Then he said that, although we were approaching the end, much like the games themselves, this performance might yet hold a surprise. Immediately after he said this, a clearly-audible "Yay!" came up from one of the audience members near me, and a ripple of laughter coursed throw the auditorium. It was a bit surreal. Surprise it was though when the following movement began: Majora's Mask. I'd been so wrapped up in the performance up to that point that I hadn't even noticed the lack of anything Majora's Mask related at all, so it really was a pleasant surprise to me by that point. 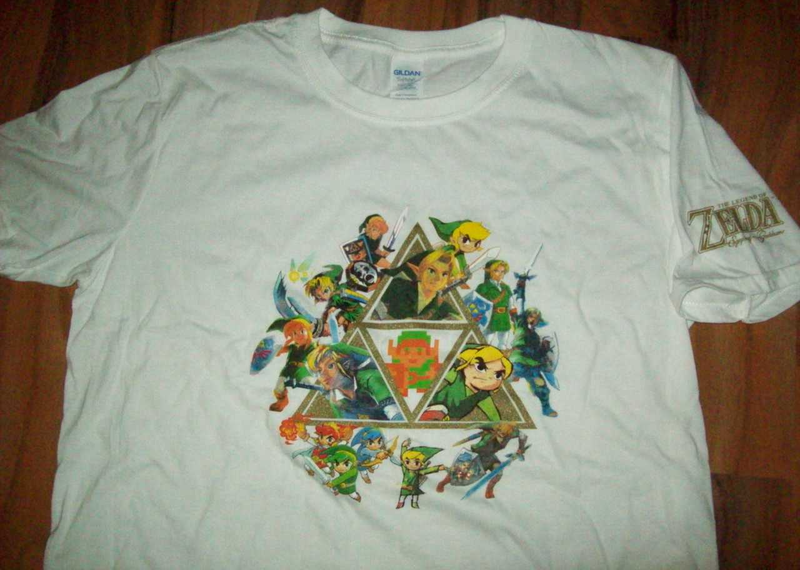 Like, "Oh yeah, we've still got Majora's Mask to come!" This was also a contender for my favourite movement of the show, since it is my favourite overall soundtrack of the series. Also, when Tingle made his one and only appearance in the video footage, I couldn't help but snigger when I heard the guy next to me mutter something... unrepeatable under his breath. After this came a rendition of The Wind Waker's Dragon Roost Island. I actually thought it a bit out of place, all by itself, sandwiched near the end between two unrelated movements, but the audience really seemed to appreciate that one as some began standing to applaud. Rather oddly, at this point the composer walked off stage briefly (for some reason), and upon returning gave a gesture as if to say "I can't hear you!" Then, as the clapping began to die down, the lower echelons below me didn't stop, and within seconds a natural, renewed wave of applause sprang through the audience and we found ourselves clapping all over again! The final movement of the night was a compilation of music from Skyward Sword. Good, standard stuff really. And after this, yes, a standing ovation was given. It must've been around two minutes of solid applause. I've never clapped so much in my life. The noise even drowned out the sound of my own cheering. The guy next to me got worn out and had to stop more than once to catch his breath, but I made a painful special effort to persevere. It didn't help that, agonisingly, the conductor prompted each section of the orchestra to stand individually, so we were often applauding for only two or three individuals at a time. I clapped with renewed vigour when the harpists stood up. They were wonderful. I tried the same for the choir, but it just wasn't in me by that point. Yes, I clapped till my hands were raw and my arms were sore, but boy, did they deserve it. Out in the lobby, there were actors in costume that people were getting pictures with: Zelda, Goron-Tunic Link, and some other guy who looked like a cross between the blue-shirted Link of Breath of the Wild and Techno Viking. Not. Even. Kidding. I chatted with these guys for a bit, complementing them on their costumes and all that, then stopped by to see what the fuss was over these much-plugged souvenirs. All in all, it was a brilliant experience. I lost track of how many times I found myself grinning from ear to ear. If by chance there's a concert date near you coming up on the schedule, I highly recommend you go yourself. You will not regret it. One last thing. Since I imagined beforehand I might be able to get an article out of this experience, I was taking succinct little notes on good old-fashioned pen and paper throughout the performance. I suppose this is very unusual these days judging by how many people whipped out their phones during the intermission. Case in point, one guy who noticed my jotting things down asked me after the show, "What's that for? You some kind of professional music critic?" Rest assured, I told him straight: "I'm no professional, I work for KoopaTV!" Vortexica hopes you enjoyed his tale of The Legend of Zelda: Symphony of the Goddesses - Master Quest. Just... don't ask him what was particularly "Master Quest" about it. He also apologises for the minor image recycling from previous Zelda articles, but he had to think of something to break up those text walls. I have been to the first iteration and the third one in the U.S. First iteration had Ballad of the Wind Fish. Sad you could not hear it live. I'm excited to be going to a Zelda Symphony performance near me this December! From these impressions, sounds good—of course, many others have cast their impressions on the concert already, so I already knew that, but still—, I'm happy to see both KoopaTV and Nintendo Life put up articles on it today. I wonder if a Breath of the Wild version of the concert will appear some time next year, or in 2018, perhaps? It was a lot of fun when I went, in case anyone is looking back at this and wondering. The music layout for me and the audience response pretty much followed Vortexica's experience here to a tee. Unfortunately, the line for souvenirs was far to long by the time I got there from my second-floor perch, so I didn't get the chance to pick anything up. Oh, and as for my favorite bit, Twilight Princess's Hyrule Field music.